PHOENIX – Several radio stations and two television stations experienced a 45-minute broadcast interruption after electrical panels for radio and TV transmitters on South Mountain were vandalized early Wednesday morning. 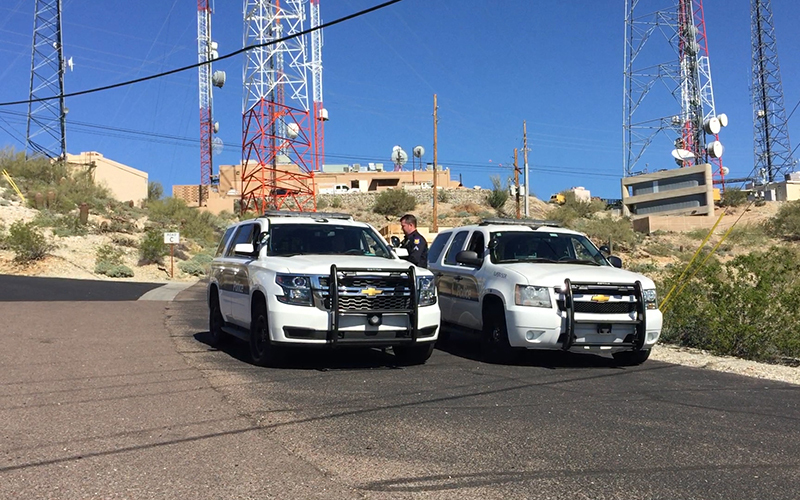 Phoenix police responded at around 8:30 a.m. to the summit area of South Mountain Park. Hubbard Radio reported to police that someone had damaged electrical panels for the transmitters and caused interference with some broadcasts about an hour before police arrived, according to authorities. Police said they were holding one suspect for “trespassing.” The suspect was apprehended about 30 minutes after the call to police. “The original call talked about damage to electrical panels, so they’re going to take a look at the surrounding areas, contact the owners of any of the properties that they identify that is damaged to find out the full extent,” Sgt. Vince Lewis said. Several radio station’s broadcasts were affected by the damage as well as Arizona PBS and KPNX. The outage only affected those viewers who receive stations over an antenna. Almost 70 radio and television stations in the Phoenix area broadcast from the transmitters on South Mountain, according to a satellite information network. “I would imagine Federal Communications Commission and other possible federal entities might be interested in what was going on up there just because we are dealing with transmissions, broadcasts of radio and television stations,” Lewis said. “The investigation is ongoing and we are looking into it.